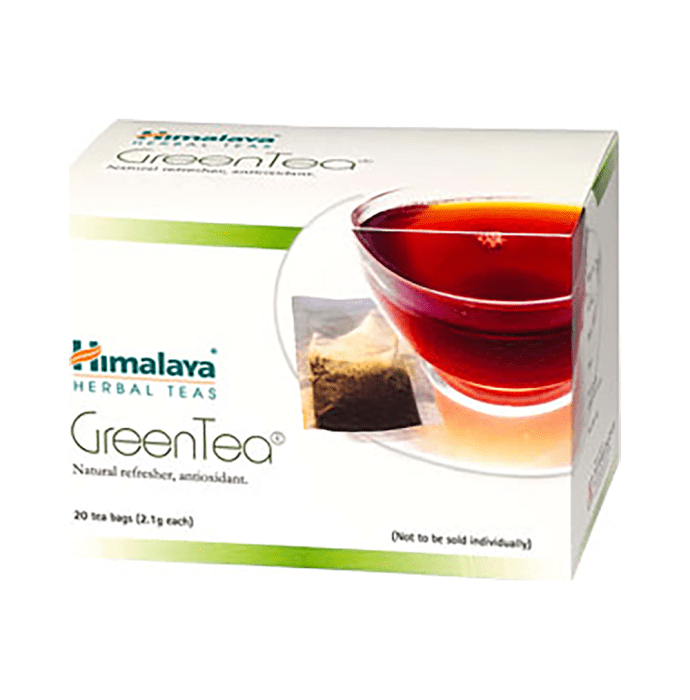 Himalaya Green Tea helps you tackle fatigue and detoxify the entire body. Green Tea is a potent antioxidant, which builds the body's immunity and has anticarcinogenic properties. It promotes gastric secretion and aids digestion, normalizes blood pressure, facilitates weight reduction and helps fight physical and mental fatigue. Green Tea is a herbal formulation containing extracts of the plant Camellia Sinensis (tea plant). It has excellent free radical scavenging properties, and is therefore considered an antioxidant. Himalaya Green tea also facilitates weight reduction, lowers blood pressure and strengthens the walls of blood vessels. Green Tea enhances the body's immunity, promotes gastric secretion and aids digestion. Its significant antibacterial and antiviral properties provide protection and restore fluid balance in gastrointestinal infections. It exerts a diuretic effect on the kidneys, which is beneficial in cardiac and renal problems. It also has hepatoprotective properties. Green Tea relieves physical and mental fatigue. By promoting the accumulation of ascorbic acid (vitamin C), it provides antioxidant protection to the body and is helpful in treating the common cold. Its smooth, muscle-relaxing actions facilitate the removal of phlegm and relieve broncho-constriction.